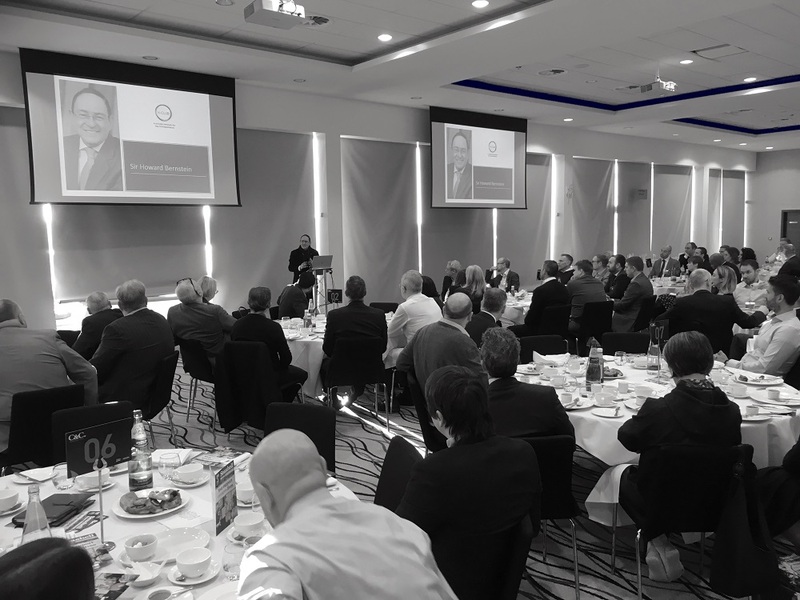 At the first Breakfast event of 2019 for North West business leaders, we were delighted to welcome Sir Howard Bernstein and Gail Hounslea as speakers for our audience. In a packed room, attendees enjoyed their usual cooked breakfast before hearing what they had to say. First up, Sir Howard talked on his past role as Chief Exec of Manchester City Council and his perception of the region today, touching on the areas of Leadership & Collaboration, Government and People. He sees the Northern Powerhouse initiative as a hugely distinctive contribution to Manchester, putting it firmly at the heart of Government and allowing the region’s businesses to stay better connected. With businesses in the area operating as ‘the North of England’ the region will be better placed to cope with changes and trends in the economy. Sir Howard insists that businesses should continue to talk about, and to be involved with, the Northern Powerhouse during these uncertain times in the country, as they will most certainly feel the effect of the big decisions which will be taken. He then went on to talk about the people in our region and the importance of ensuring that the level of support needed to improve people’s life chances is used to best effect, reminding us that whilst businesses can create wealth, they can’t evenly distribute it. As Government is unable to focus on these ‘regional’ issues, since devolution, Greater Manchester now has access to the most comprehensive powers available in the North West and it must deliver value and a better outcome. He also praised the efforts of the region by pointing out that the charity and voluntary sector work done in the area is second to none, at a time when public spending is increasingly curtailed. Next, we heard from Gail Hounslea, MD of Ladderstore.com who set up an online business from her spare room, using dial-up internet, as ‘something to do’ whilst her children were small back in 1999. Initially, she sold weighing products to a niche market, using a basic website with no payment option. Fast forward 20 years and Gail’s business now employs a team of 14 in Bolton, and is the main supplier of scales and ‘working at height’ products (ladders) to major DIY retailers and businesses. Now with a more up-to-date website however, the majority of sales are to ‘one-off’ B2C purchasers. The focus of the company has always been on the customer. They work hard to meet their needs, simply and effectively. Gail puts her success down to her determination to finding solutions to a problem and over the years has had to deal with all manner of business issues, many of which were totally unexpected. Mistakes have invariably been made along the way, but from each there has been a positive learning outcome and an approach that looks forward, not backwards. In order to push on with her own development, Gail sought out training to become a Chartered Director with the IoD and now one of the key objectives of the business is to employ apprentices and young people; placing importance on their development as well as her own. 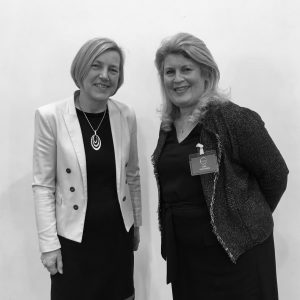 Gail now also sits as Vice Chair – and as the only female – on the Board of The Ladder Association. 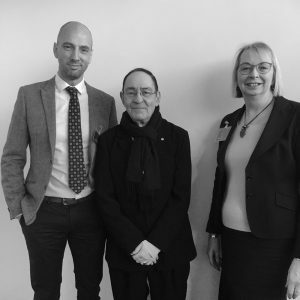 Both speakers answered questions from the audience and Gail joined our Members a few days later for a Round Table K-nowledge Session in Manchester for further discussion and business advice. To find out about Membership of the K-Club click here. 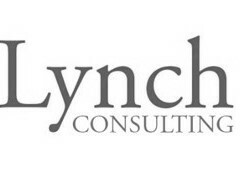 We are trusted, we are confidential and we are exclusive. We are K-Club.